The idea for Rockin’ Baker came to Daymara Baker like a dream — a vision so specific and detailed that she couldn’t ignore it. “I was on a plane reading a book when this idea of having a business where people could learn skills just came to me. It was so real, that movie in my mind, even the colors and everything. The colors I saw in that vision are the color schemes I currently use in my shop: black, white and red." “Following it all the way” led to the establishment of Rockin’ Baker Academy, a bakery dedicated to empowering the lives of Northwest Arkansas’ under-served communities by teaching technical + life skills and self-sufficiency. Initially, Daymara knew she wanted her academy to provide employment opportunities for people with histories of incarceration. “I feel that our society penalizes people who make mistakes in their life. It makes it really hard for them to get back on their feet, it makes it almost impossible for them to succeed. That’s why I always wanted to focus on that and see what I could do differently so that these people really have a chance to improve their lives versus being penalized when they try to gain their footing back in society. “Now, as we’ve evolved, I got more into helping people with learning challenges. That wasn’t something I really thought about at the beginning, but my academy is taking that route. And that’s what she’s always done. Daymara is the kind of person who sees a need and goes the extra mile to fill it. 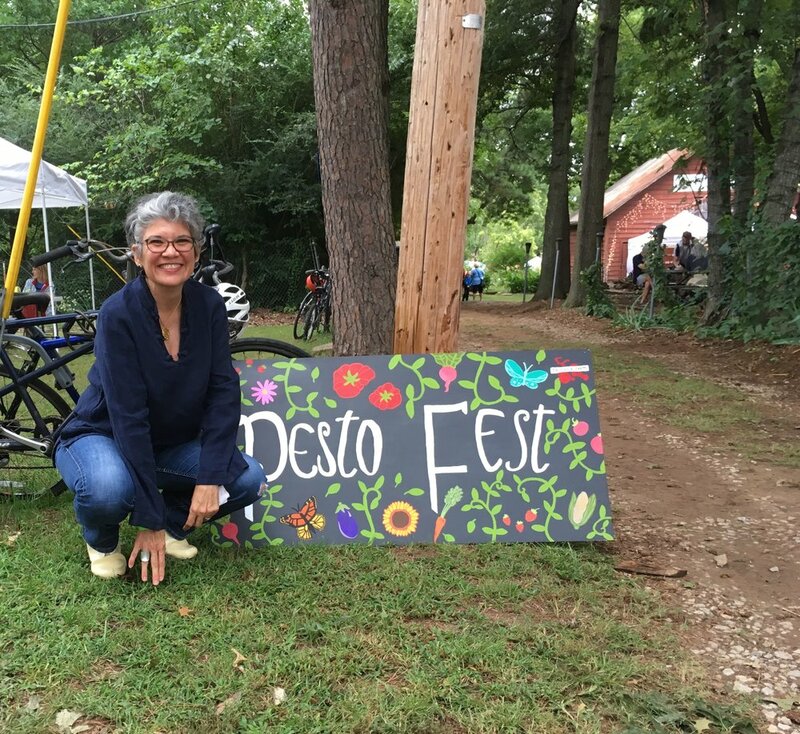 Back in 2007, she co-founded the Northwest Arkansas Community Creative Center, a non-profit organization dedicated to making visual arts education and programs available to the public. And she did this while working as a high-level executive at a major corporation. Though she’s arguably a modern-day Superwoman, Daymara still has her doubts sometimes and knows she’s never guaranteed success. It is no other-worldly superpower that drives Daymara onward. It’s simply curiosity and an unwillingness to leave any stone unturned. That’s been Daymara’s motivation her entire life. It’s easy to see that Rockin’ Baker falls into the “see where I am? !” category. On the cusp of the academy’s two-year anniversary, Daymara’s providing employment opportunities for eight or nine students with learning challenges. And the improvement her students are experiencing continues to draw more and more people to her business. Not to say it’s been easy breezy beautiful all the time, especially for a Type A personality like Daymara. It seems that in all she does, Daymara seeks ways to give back to and better her local community. She credits that passion to her experience of moving to the United States from her home country, Venezuela. When you support Rockin’ Baker, you’re supporting an awesome non-profit dedicated to breaking the cycle of poverty. And the best way to support Rockin’ Baker and the many other wonderful + empowering businesses around Northwest Arkansas dedicated to giving back to the community is to EAT, SHOP, PLAY LOCAL. The free Towny app is your all-in-one guide to doing just that! Download the app now + start getting rewarded for supporting local. PS: In November, Rockin’ Baker celebrates its second birthday. If you’re itchin’ to join in on the festivities, keep an eye on the Towny app for details (+ other perks you won’t want to miss)!